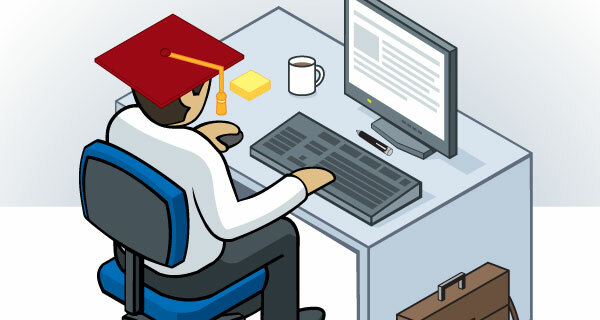 Earning a graduate degree while employed can be challenging. But for those who make the effort, the rewards can include greater job satisfaction, the potential for promotion, and a salary uptick. Thinking about going back to school while holding on to your job? These professionals will inspire you. As supply chain management grows in importance, jobs in the field will continue to be in demand. Yet, some industry analysts say the sector is experiencing a shortage of executives. A surprising number of professionals working in supply chain management do not hold logistics-related degrees, according to Irvin Varkonyi, marketing manager and adjunct faculty member of the transportation and logistics programs at the American Public University (APU) System. Varkonyi does not suggest that the supply chain sector lacks educated individuals. Logistics professionals might have undergraduate degrees in industrial design or management, or master’s degrees in business administration or engineering. But the majority have not earned a degree in supply chain management or logistics.